Another heartland cafe is biting the dust. This time, it's Creamier's Toa Payoh branch, a homely neighbourhood ice cream parlour famed for their creative take on desserts. In a Facebook post uploaded yesterday (March 19), the shop announced its impending closure -- the last day of operations will be June 30. Located at Block 128 Toa Payoh Lorong 1, the outlet is also Creamier's first and opened back in 2011. Creamier has two more outlets at Tiong Bahru and Gillman Barracks. No reason was given in the statement for Creamier's closure but a look in the comments section points to a leasing issue. Responding to several commenters online, Creamier stated the reason for closing was to "respect (their) landlady's wishes". "She's getting on with age and would like to get back some peace and quiet," they added. The post has since garnered over 1.2K comments with many heartbroken fans pointing out vacant spaces that Creamier could potentially move into. 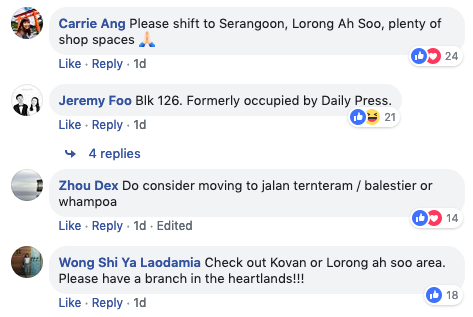 Seems like not all is lost for Toa Payoh heartlanders as Creamier is still on the lookout for a potential new spot and seeking leads by the public for "a good space". In the meantime, the folks there have a special flavour in the works meant to "commemorate our little heartland shop". In an email to AsiaOne, a representative said that the flavour is a gift to the community and they are looking to making it available from May to June. 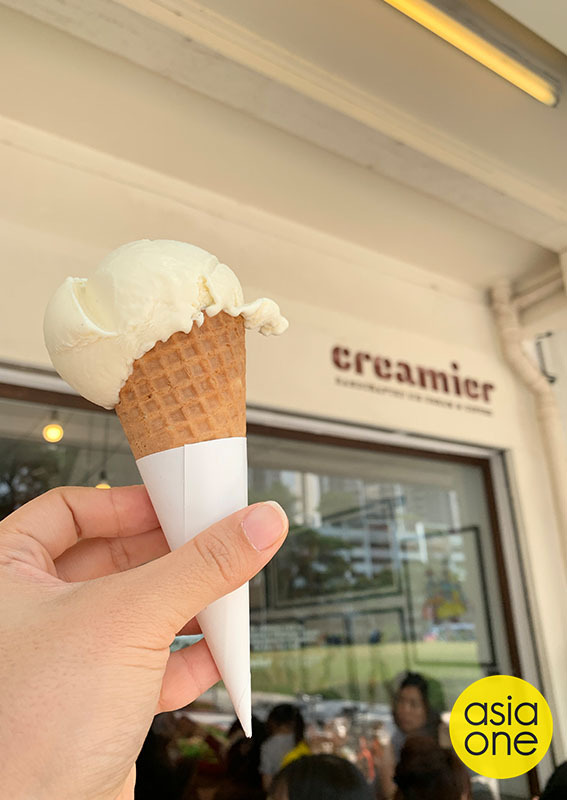 The rep also added that the flavour will likely be available at Creamier's two other outlets so don't worry about having to rush down before the one in Toa Payoh closes for good. Eagle-eyed Creamier fans might have noticed that a special flavour was launched today -- the Little White Rabbit inspired by everybody's nostalgic childhood candy. But wait, didn't Creamier's sister cafe, Sunday Folks launch it before last year? And is this the special flavour that they were talking about? The Little White Rabbit flavour was actually launched at a Sunday Folks Shanghai pop-up last year and brought to Singapore as a seasonal treat. "A lot of folks enjoyed it and have been messaging us non-stop on social media to bring it back. So we thought, why not bring in to Creamier instead?" said the rep.
Not to be confused with the special flavour, the Little White Rabbit flavour will only be available at all three outlets until April 30. The White Rabbit Flavour ice-cream retails at $16 for a pint and $4.60 for single scoop. 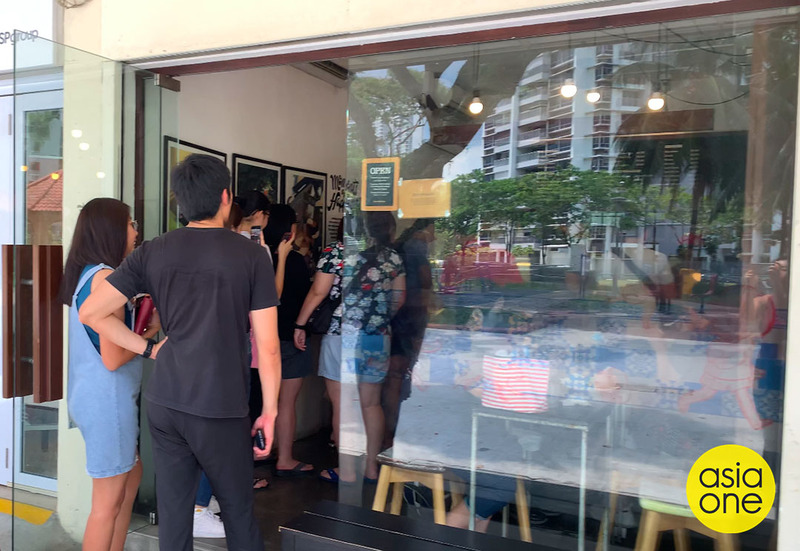 When I dropped by Creamier Toa Payoh this afternoon for a visit, the outlet was packed with people and a snaking queue had formed even though it was past lunch time. People we asked knew about the impending closure but not many knew about the Little White Rabbit flavour's debut. As they happened to be in the area, they decided to drop by for a visit, not for any specific reason. Curious to know if people would associate the flavour with the iconic Shanghainese candy, I gave some of them in the queue a quick taste test. Project executive Adley Low, 35, said that it's the same candy replicated in ice cream form: "If you've tasted White Rabbit before then you'll definitely know what (the flavour) is." Student Dhiyran Ratnam, 19, shared similar views, saying: "It's more subtle than actual White Rabbit candy but it still tastes like it." I concur. An overwhelmingly vanilla flavour, in both sense, only the aftertaste reminded me of White Rabbit candy.